The newly revised Sixth Edition of Elements of Ecology maintains its engaging, reader-friendly style as it explains the basic principles of ecology. The text is updated to include new chapters on current ecological topics (metapopulations and conservation ecology); new part introductions to connect the subfields of ecology; and new in-text features to encourage students to interpret the ecological data, research, and models used throughout the text. Abundant, accessible examples illustrate and clarify the text's emphasis on understanding ecological patterns within an evolutionary framework. Additionally, the text employs new study questions requiring students to make connections and apply their knowledge. Each chapter includes at least one Quantifying Ecology box explaining equations and statistical techniques with step-by-step examples designed to teach students how to use and interpret data. The expanded companion website (www.ecologyplace.com) includes GRAPHit!, MODELit!, and QUANTIFYit!, new quantitative exercises to help students further master and apply math skills. New Researcher Profiles will introduce students to primary literature by featuring the next generation of ecologists working on innovative research. These in-depth case studies follow a series of experiments that serve to illuminate the text’s core concepts. 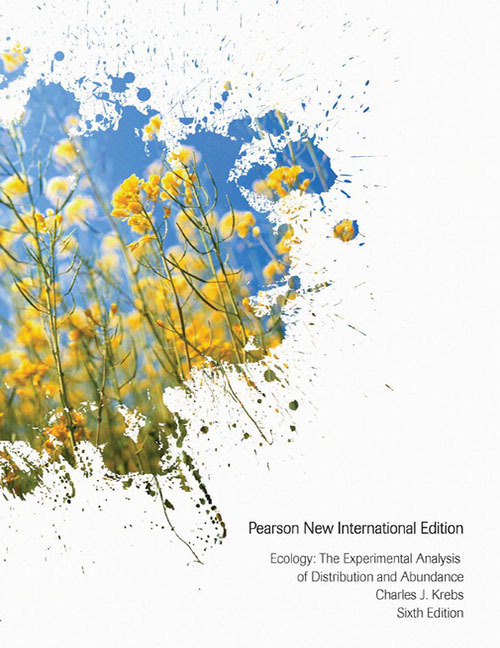 Ecology: Pearson New International Edition: The Experimental Analysis of Distribution and Abundance,..